An increasing number of residents are being priced out of city limits as rental rates continue to rise in Berkeley. Berkeley has the 10th-highest income inequality in the country, according to a ranking of 300 cities with more than 100,000 people in the United States by Bloomberg. According to FiveThirtyEight, a high concentration of students tends to drag down a city’s median income. Yet Berkeley has an exceptionally high median household income compared with other cities ranked in the top 25, which means that a large portion of Berkeley’s population has relatively high incomes. Public officials say increases in rental pricing and decreases in government housing regulations and subsidies disproportionately affect low-income earners and minorities. Home to the University of California’s flagship campus, Berkeley is an attractive destination for those looking to relocate, with its well-connected public transit system linking the city to the booming tech industry in Silicon Valley, according to Stephen Barton, former deputy director of the Berkeley Rent Stabilization Program. “We, the people, create tremendous value and make places desirable,” Barton said. 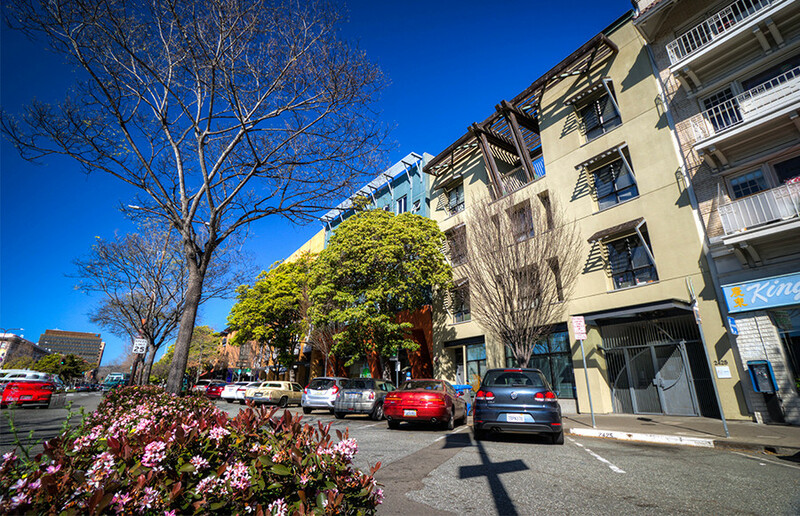 Such factors have contributed to an increase of approximately 57 percent in Berkeley’s monthly median rental price for housing, from $740 in 2000 to about $1160 in 2012, according to U.S. census data. In the same time, the city’s median household income increased by just 32 percent. Igor Tregub, vice chair of the Berkeley Housing Advisory Commission, added that demand far outstrips the supply of housing available, allowing landlords to raise rent higher than some tenants are able to afford. Although some current tenants are protected from the rapid rent increases by city rent control laws, many others rent single-family homes or newly built apartments where rent is not controlled. In the past, Berkeley has had varying levels of success in mitigating the housing market’s impact on low-income residents. In 1973, City Council declared a housing emergency in Berkeley when it found rents were steadily rising and quality housing availability was declining. The “victory part” of this story, Barton said, is that eventually the local government voted for a strong rent control ordinance in 1980 — one of the largest affordable housing programs in Berkeley — that at the time prevented rent from rising faster than the cost of earning a reasonable profit when adjusted for inflation and maintaining the property. Yet by 1995, state legislature overrode Berkeley’s strict rent control laws on vacant apartments, forcing cities to enact policies of “vacancy decontrol,” which allow a unit’s rent upon vacancy to be stabilized at the new, raised market price. Barton said Berkeley had higher retention of black renters than neighboring communities during the 1980-1995 strict rent control period, prior to vacancy decontrol. Vacancy decontrol went into effect in Berkeley in 1999, right around the “dot-com” bubble that led to rising rents in the Bay Area. “When previous minority tenants moved, they weren’t replaced by more minority tenants but (by) higher-income tenants,” Barton said, adding that tenants have historically been less likely to be part of a minority population. The combination of these factors has exacerbated the presence of what Barton referred to as “de facto segregation” in Berkeley. According to U.S. census data, in 1970, more than 20 percent of Berkeley’s population was black. By 2010, the percentage had halved, even though the city’s population remained fairly level. It is the failure to mitigate the effects of such policies, widening income disparity and a booming regional economy that has brought Berkeley’s affordable housing crisis to its historical apex, said City Councilmember Jesse Arreguin. But Sid Lakireddy, president of the Berkeley Property Owners Association, said the housing crisis is as much about an overall insufficient number of units being developed within city limits as it is about increasing rents pricing out low-income earners. A result of the strong rent control period, he said, is that very few new apartments were built in the city. “The only true fix to the housing crunch is always to build more,” Lakireddy said. Lakireddy, however, said bureaucratic roadblocks make for slow construction of new housing. Both Arreguin and Tregub said there is “no silver bullet” that will solve the burgeoning affordable housing crisis in Berkeley. Arreguin has proposed raising minimum wage to address income inequality. He also said strengthening anti-eviction laws in the city to protect tenants might improve the situation. Yet Lakireddy said tenants from the strong rent control period continue to rent units — paying as little as one-third of current market rates — even if they no longer use the units as their primary residences. Tenants are incentivized to stay, while property owners are incentivized to have these tenants move so that rent may increase to market value. The number of low-income tenancies from the period of strong rent control, according to a 2013 Rent Stabilization Board report, is 2,200. By not freeing up these spaces — which can sometimes even be vacant — Lakireddy said, this hurts potential new tenants because they are limiting the housing supply. To address housing issues in the city, Tregub favors increasing the city’s “affordable housing mitigation fee” — a levy imposed on developers for every unit they build with the intention to rent at market rate. The fee is put toward building new housing units for low-income earners. Many proposed solutions rely on policy changes, which would pit proponents against a wealthy real estate industry, Barton said. Budget cuts, legal obstacles and the interests of powerful industry notwithstanding, public officials remain optimistic. Contact Alexandra Yoon-Hendricks and Ishaan Srivastava at [email protected].